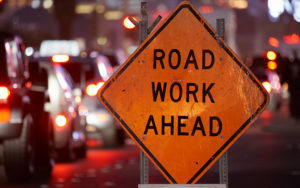 (Lindenwold, NJ) – Freeholder Susan Shin Angulo, liaison to the Camden County Department of Public Works, has been informed by the Public Service Electric and Gas Company (PSE&G) of a project taking place on Cuthbert Boulevard in Cherry Hill. Northbound traffic will be reduced on parts of the roadway from two lanes to one beginning on Oct. 9, for inspections and the installation of an electric utility cable. The project is expected to last no more than one month, and will take place between 9 a.m. and 3:30 p.m. The roadway will not be affected by construction, as crews will utilize existing manholes instead of opening the road surface. Scheduling is subject to change due to weather or other unforeseen variables. To report a concern, contact the Department of Public works by calling (856)-566-2980.